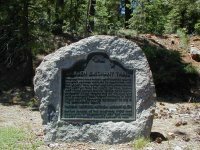 Through this draw passed many covered wagons and gold seekers en route to California over the Lassen Trail during 1848-1851. Approaching this location from the north, the trail passed what is now Bogard Ranger Station. 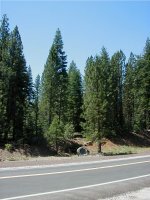 Proceeding southward to Big Springs and Big Meadows (now Lake Almanor), it then turned westward to Deer Creek, which it followed generally to Vina in the Sacramento Valley.